A heart murmur is an extra or unusual sound heard during a heartbeat. Normal heartbeats sound like “lub-DUB” or “lub-DUPP” when heard through a stethoscope. This sound is made by the heart valves closing as blood moves through the heart. Often, heart murmurs sound like a swishing or whooshing noise. Heart murmurs range from very faint to very loud. An innocent heart murmur is an abnormal heartbeat that is not caused by heart problems. Babies with abnormal heart murmurs may have signs or symptoms of much more serious heart problems. The most common cause of heart murmurs are congenital heart defects. When an expectant mother uses the SSRI antidepressant drug Zoloft while pregnant, the risk of her baby being born with a congenital heart defect is much greater than is she did not take Zoloft during pregnancy. Zoloft side effects have been linked to congenital heart defects that cause heart murmurs. Congenital heart defects are problems with the structure of a baby’s heart that are present at birth. These defects change the normal flow of blood through the heart and can involve the interior walls of the heart, the valves inside the heart or the arteries and veins that carry blood to the heart of from the heart out to the body. Septal defect heart murmurs. The walls inside the heart are called septa (plural of the singular form “septum”). These walls separate the two sides of the heart and keep blood from mixing between them. Congenital heart defects involving holes in the septa are called septal defects. These “holes in the heart” change the normal flow of blood through the heart and can result in abnormal heart murmurs. Valve problem heart murmurs. When a heart valve does not close properly, blood can leak back into the atrium of the heart. 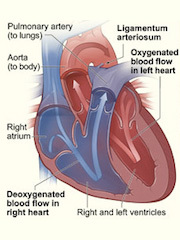 This change in the normal flow of blood through the heart can result in a heart murmur. The narrowing of heart valves also can result in a heart murmur. In recent years, the diagnosis and treatment of septal defets and other congenital heart defects has improved greatly. As a result, almost all babies born with heart defects in the United States survive to adulthood and can live active, productive lives. Many, however, will continue to need special heart care for the rest of their life. Survivors of congenital Zoloft heart defects may be affected in many ways: Health insurance eligibility and premiums, future employment prospects and wage loss, as well as future health issues. In the United States, about 1 million adults are living with congenital heart defects. If your baby developed a Zoloft heart murmur after use of the SSRI antidepressant drug Zoloft during pregnancy, you may be entitled to recover substantial financial compensation. Zoloft lawsuit attorneys represent families and children affected by Zoloft heart murmur birth defects on their claims recover financial compensation for personal injury and wrongful death damages. Find out if you have a Zoloft heart murmur lawsuit case or claim to a Zoloft heart murmur settlement. Contact us today for a free no-obligation consultation with a Zoloft birth defects lawsuit attorney. We are accepting new Zoloft heart murmur cases nationwide. Let our experienced attorneys help you and your child collect the money damages you deserve on your Zoloft heart murmur lawsuit claim. Submit the Zoloft attorney contact form on this page or call us toll-free at 800-845-6913.